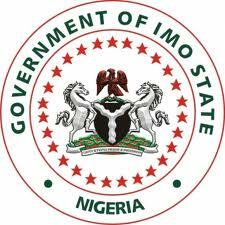 Imo state government has reduced the number of working days for the state’s civil servants from 5 to 3 days per week. This information is contained in a statement signed by Sam Onwuemeodo, the Chief Press Secretary to Governor Rochas Okorocha. The statement said that the new policy, tagged “Back to Land For Agriculture” is meant to enable the state engage and invest heavily in agriculture for self-sustenance since from all indications the state can no longer depend on monthly allocation for survival. Okorocha disclosed the policy when traditional rulers from the state operating under the aegis of Royal fathers in Agriculture paid him courtesy call at the Government House Owerri on Monday. According to Onwuemeodo, the governor directed that public servants in the state would now work from Mondays to Wednesdays, and use Thursdays and Fridays for agriculture (farming) while Saturdays can be used for ceremonies, adding that the directive takes effect from Monday August 1, 2016. However, the governor exempted public servants on essential duties like the teachers, nurses, doctors and people involved in Internally Generated Revenue drive. Political appointees are also exempted from the three-days working periods. We shall try this programme for the period of one year, starting from 1st of August 2016 and hopefully this will help. Let me make this emphasis before it is misconstrued or misrepresented, that this does not in any way affect the salaries of the workers. Workers will get their full salaries as been the practice. So the policy does not mean that there will be a cut in salary rather let us now find a way for our workers to supplement their salaries. For this reason the issue of annual leave and casual leave is hereby cancelled. Resumption time for work has changed from 8am to 7.30am in the morning and ends by 4pm. Any worker that is not found on his or her seat between 7.30am and 4pm on the days concerned will be summarily dismissed. Everybody must go back to agriculture. Every political appointee must own a farm. The youths would also be encouraged to take to agriculture. Schools including Universities, Polytechnics and Secondary schools in the state must own farms. The Community Government Council (CGC) must be strengthened for the sake of this agricultural programme”. Two billion naira (N2b) has been set aside at the micro-finance bank for the purpose of this Back To Land For Agriculture policy so that those willing can access it. And time is gone again when politicians and some Imolites will come to government in the pretence of farming and collect loans and use it to buy cars and marry new wives”. Again, the June and July Salaries would be paid this week. We are making sure that our workers are comfortable and our pensioners are happy because this is one area the whole nation is having a serious challenge. Our problem is not being unable to pay salaries but paying over-bloated salaries. We are also making effort to pay our pensioners once the harmonization is over. I also want to announce that government has appealed to families and those who organize burials on Mondays to Wednesdays to please change and have their burials on Saturdays so that we can concentrate on the government’s work and on the agricultural programme. Everything that has to do with agriculture no matter what shape it comes, government will support it. So many countries are going through economic crisis because of the fall in oil. Our nation is also going through very difficult moment. We have taken responsibility as leaders and we are not blaming anyone. Wise nations and leaders save for the rainy days. There were periods the oil price was in our favour. But those in charge then blew the money. They made no savings. Today the oil price globally has crashed and here we are. And we must fall back to agriculture as the panacea.